The demand for real estate from political parties never seems to end. The latest to join the chorus is the Telangana Rashtra Samithi (TRS) that has announced it will construct its office in Delhi soon. 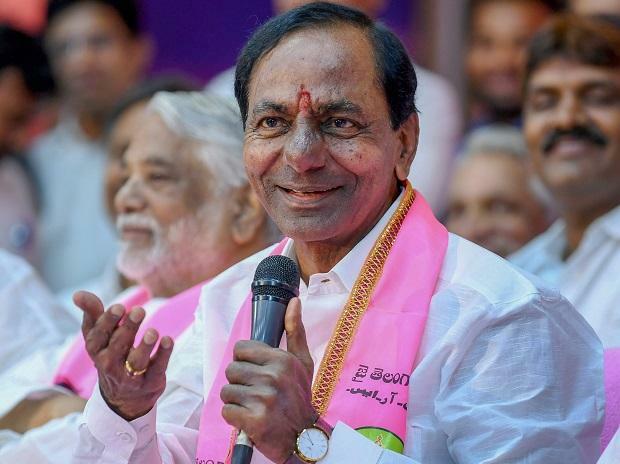 The Centre has agreed to grant the party an area of 1,200 sq yards.TRS president and Telangana Chief Minister K. Chandrasekhar Rao (KCR) was in Delhi last week to inspect the land available on offer. TRS will have to pay Rs 5 crore to the Ministry as the land price. KCR has sent a team of his MPs led by B Vinod Kumar to select one of the three sites suggested by the Ministry. He has also told party MPs that he would lay the foundation stone for a party office with all the mod cons after 15 January and complete the construction by the last week of May, before the formation of the new Lok Sabha. The cost is expected to be around around Rs 25 crore. The TRS office in the national capital would be designed to meet its future needs as the party wants to play a major role in central politics through formation of a federal front. Besides an office for the national president (as TRS wants to become a national party by expanding its activities in Andhra Pradesh too), there will be provision for a meeting hall for guests and visiting dignitaries. The decision to build an office of TRS in Delhi is in tune with KCR’s decision to build offices in all 33 district headquarters in Telangana within six months. TRS at present has only one own office, Telangana Bhavan, in Banjara Hills in Hyderabad. The party has offices in some big districts, but in rental premises. KTR has been entrusted with the responsibility of constructing own offices in all the districts.